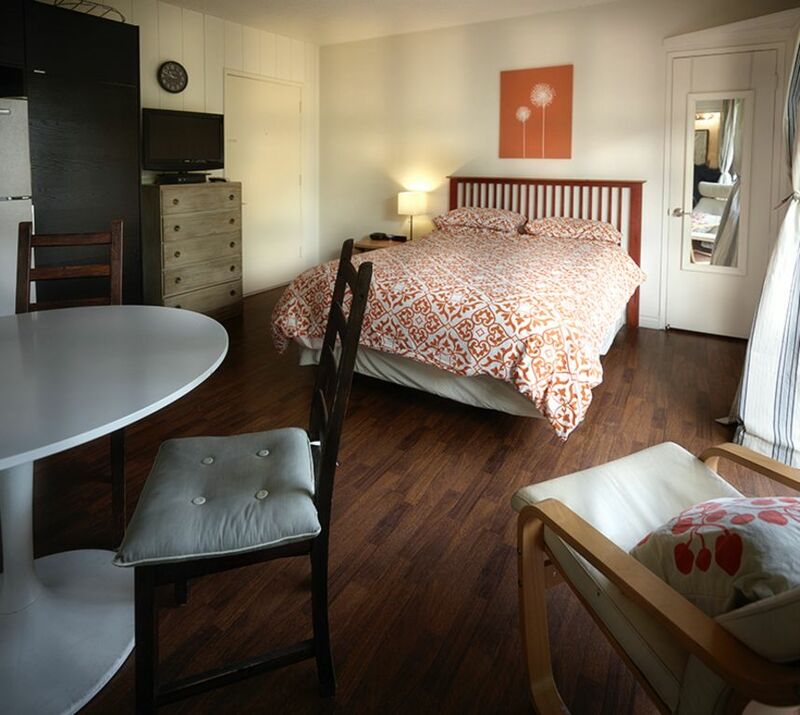 Fantastic Venice Beach Studio apartment that is just 100 steps to the beach and famous Venice Beach Boardwalk. Also steps to nice restaurants and minutes to Los Angeles International airport. Wood floors, nice decor/furnishings, nice bathroom, and full kitchen..In the apartment there is a queen bed, a 42" plasma TV with Direct TV Satellite, High Speed Internet, and quality linens and towels are provided. There is a small private balcony 2 chairs. . Walk the famous boardwalk and a enjoy all the happenings of Venice Beach. Purchase quality arts and crafts from local artists, listen to local musicians, and watch crazy sides shows all along the boardwalk. Bike or skate along the miles of pathways up and down the coast, and swim and enjoy the cleanest beaches and water in California. Come and see why Venice Beach is the #2 destination in Southern California. Walk or Bike to Everything! This property is a 1960's 3 unit apartment building. Located on a quiet walk street only 100 steps to the sand. Really great and safe location walking distance to shops and restaurants. Walk the famous Venice Beach Boardwalk just steps from your front door.